When the Formula X first landed at Sephora I scurried over to my nearest store. On first look, I was completely gutted about the price tag. It was nearly twice as much as the old Sephora by OPI line. No thanks…For a seemingly unfamiliar brand, my guess is most people would not be interested in purchasing these new polishes. Of course, I had gone all this way just for this polish range (yeah, I kept telling myself that) so I had to purchase one! Two years later, I am glad I did. 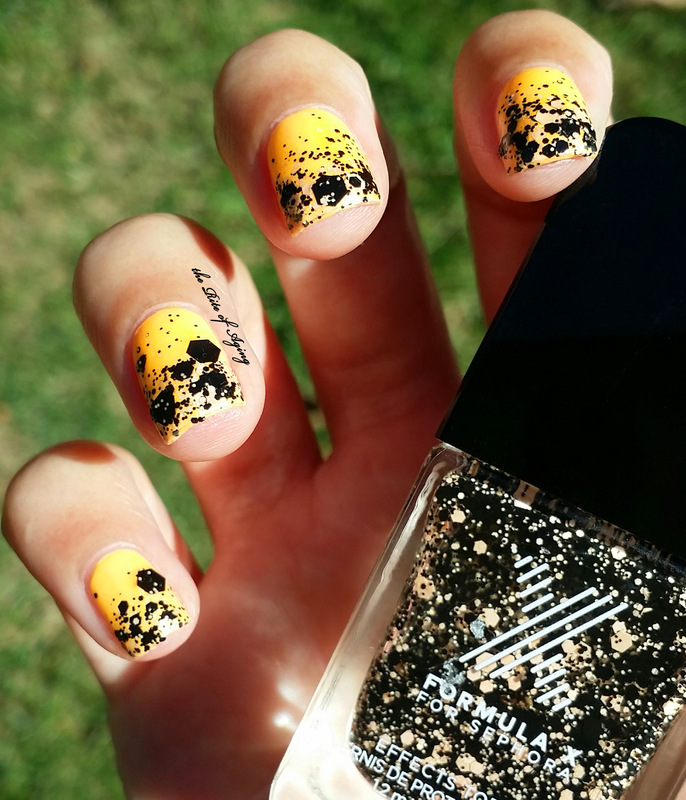 Bombshell, a black and orange hex glitter topper, was discontinued soon after it’s release. It’s still one of the most unique glitters I’ve seen to date. I only use it during October for obvious reasons and it never disappoints. I hope you enjoy today’s simple glitter gradient!